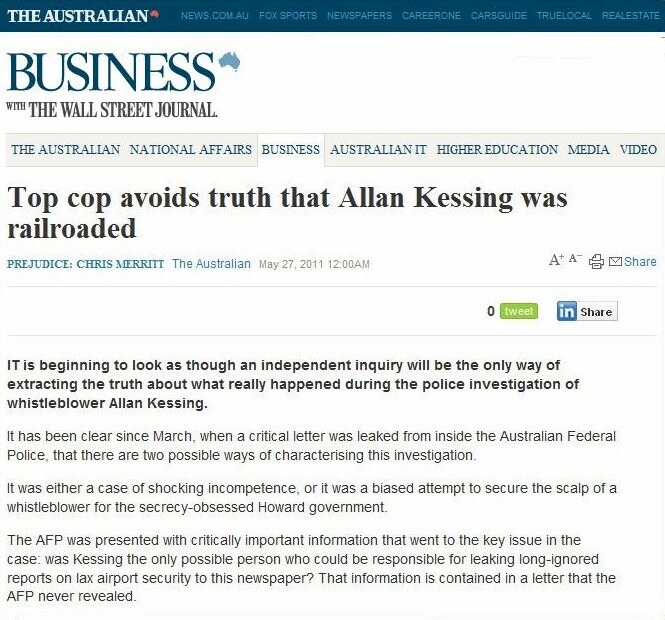 The Howard government's political pursuit of Allan Kessing was initiated after reports were published in The Australian, which exposed systemic corruption at Sydney Airport. 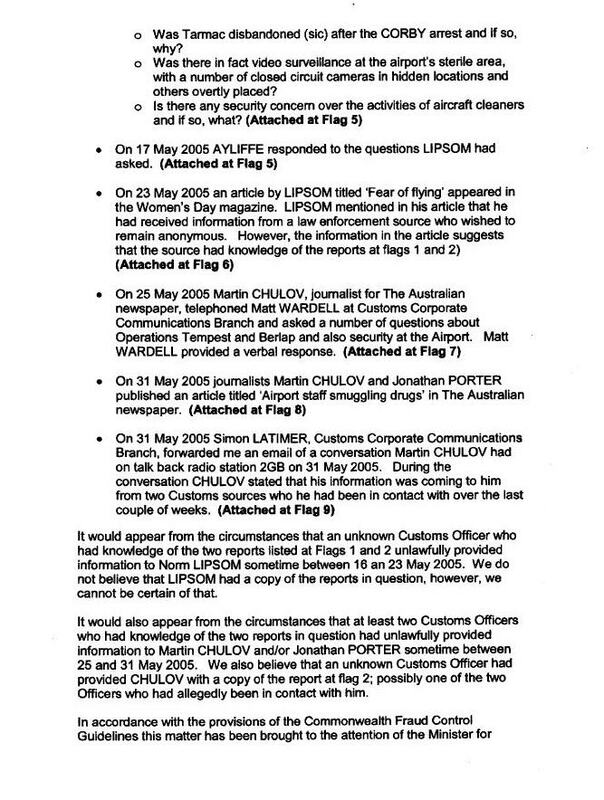 The following referral letter was sent from Customs to the AFP on 1st June 2005. It reveals a range of information which was directly relevant to Mr Kessing's court case, some of which would have been extremely beneficial to his defence. 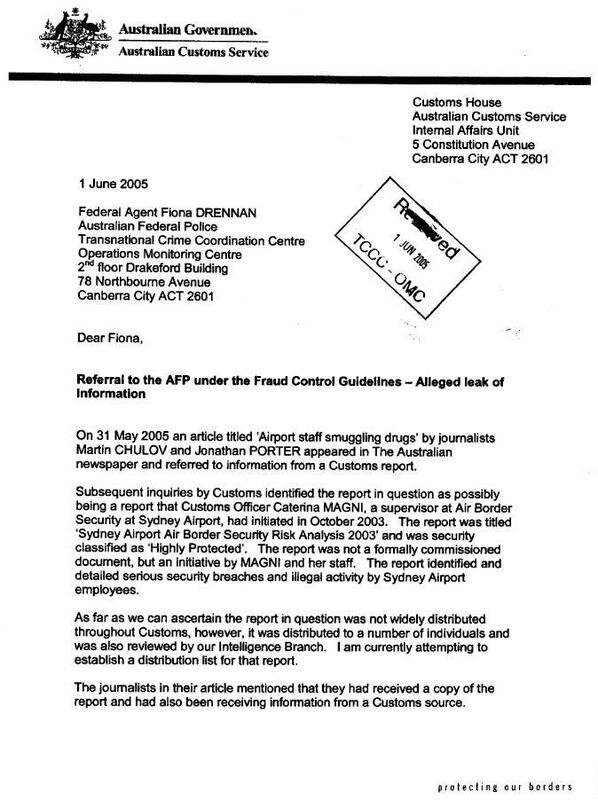 However, as also explained by The Australian, this was withheld by the AFP. It was never submitted to the court or to his defence team. 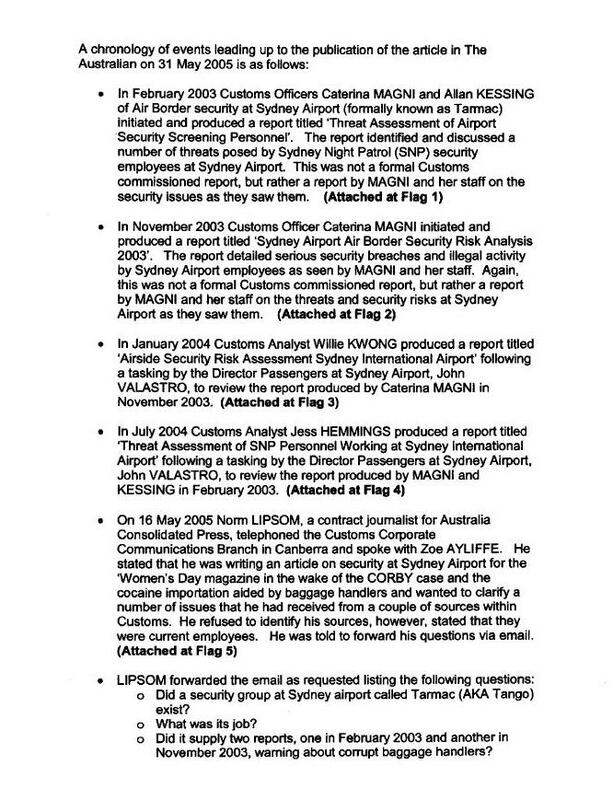 As demonstrated by The Expendable Project, this was a common feature of AFP behaviour with respect to Schapelle Corby.